Open Signal has revealed a report containing the latest Asian 4G Ranking. The report has almost identical facts as the previous report has. In the previous report, Pakistan has beaten India in terms of best 4G internet seed and this time this thing happens again. Yes, Pakistan does not have enough good ranking on this list but it’s better than India. However, India has introduced 4G before Pakistan but still, they are lacking in this and have secured lowest position this time. Indeed, Pakistan has introduced this technology a few time ago but it’s still not much stable. The Asian 4G Ranking is based on Asia Pacific Regions and Pakistan is far behind many other countries. Many Pakistani Telecom companies are aiming to provide the 4G services but they actually not providing. The notice of this has already been taken by the courts regarding these claims. Here is the complete and Latest Asian 4G Ranking list based on the number of MBs provided to the customers. Singapore is at number 1st and ranked as the fastest internet provider in the whole of Asia. While they are providing the fastest 44 Mbps speed. Surprisingly, South Korea is at number 2 while providing the fastest 40 Mbps speed and they have improved much as compare to previous one raking. 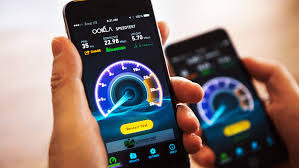 Australia is at number 3rd with 36 Mbps speed and New Zeeland is at 4th with 33 Mbps fastest internet speed. At number 5th, Taiwan has secured this position while having 26 Mbps fastest 4G speed and Japan is at number 6th with 25 Mbps speed. Vietnam is at number 7th with 21 Mbps speed, Brunei is at number 8th with 17 Mbps seed while Myanmar is at number 9th with 15Mbps speed. Malaysia secured 10th place while providing 14 Mbps speed, Sri Lanka, and Cambodia is at number 11th with 13 Mbps speed. Pakistan is also at 11th position while providing 13 Mbps speed which is average. However, it has completed its biggest rival, India and has far better speed than India. At 12th place, here are Thailand and Philippines which are providing the lowest 9 Mbps speed. Indonesia secured 14th place while providing 8 Mbps speed and India is on number 15th, the last one. They are providing the slowest internet in the region with 6 Mbps speed.